Today’s production printing market is increasingly competitive. Speed up your production while meeting and exceeding your customers’ varied demands. Ricoh, leading manufacturer of high volume solutions, hands you the means with its Pro™ series. 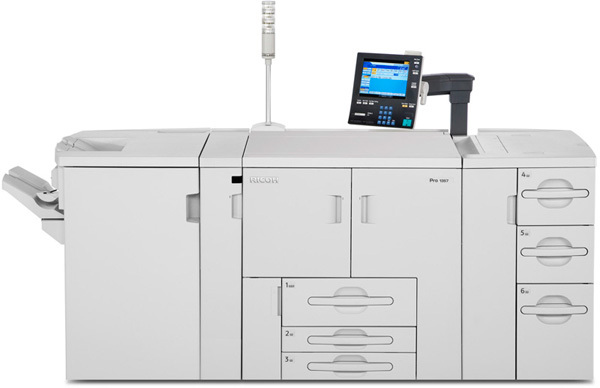 The Ricoh Pro 1357EX are complete, modular power houses designed to handle your high-volume print orders efficiently. Highly reliable and customisable with a unique range of finishing functions, these systems are guaranteed to make a difference.